The cash awards will total 42 thousand pesos and will be split among the three categories: the traditional 5 and 10 kilometers, and a colorful fun 3-kilometer race. 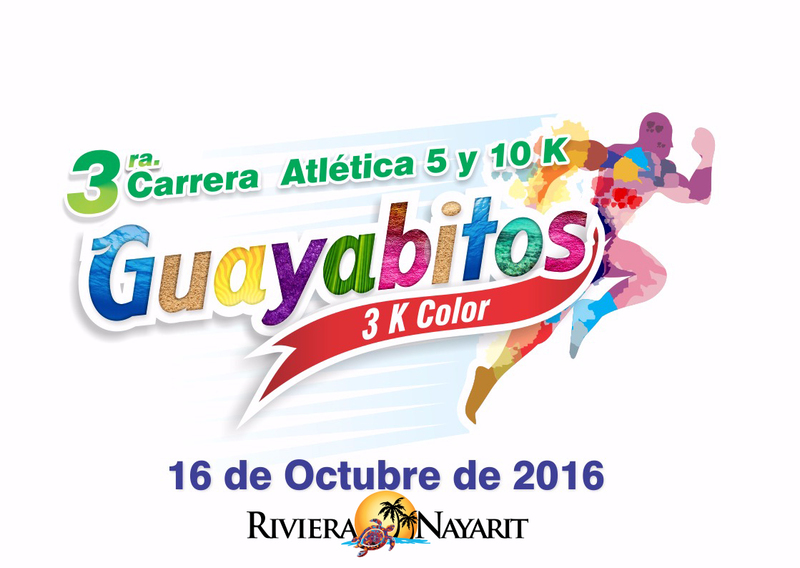 The 3rd Guayabitos 5-10K Race is ready to go in Rincón de Guayabitos on Sunday, October 16, 2016. The competition will take off from the town’s newly remodeled Central Plaza, marking a return to its original circuit this year. The Federación Mexicana de Asociaciones de Atletismo (FMAA) endorsed the route. The cash prizes will total 42 thousand pesos divided among the three categories: the two traditional 5 and 10K races and a colorful 3K fun race where everyone can participate by walking, jogging or running, an effort to encourage physical activity and family togetherness. There will be commemorative t-shirts and medals for all runners who cross the finish line and specialty trophies for the first three places in each category for both men and women. There will also be economic incentives for the winners. Participation is estimated at 400 runners between the 5 and 10K races. Registration cost is $200 pesos; to register runners must download the registration form at www.hotelesdeguayabitos.com.mx, fill it out and send it to eventosguayabitos2016@hotmail.com.